We realize that many of you use the Spring framework in your every day work. So, many should be interested in the new Spring-related features that can be found in the upcoming IntelliJ IDEA 10.5 release. 3. 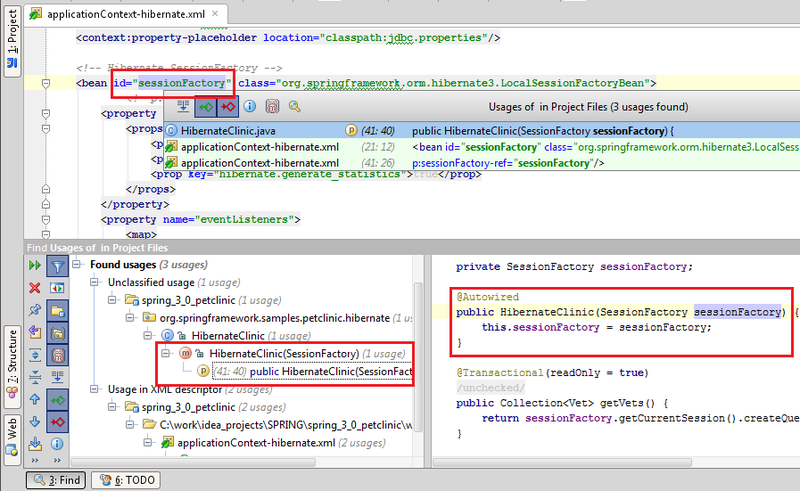 More inspections for your configs, for instance, deprecated classes and members highlighting. 4. More powerful placeholder support. All spring model inspections get and analyze placeholder values before highlighting. 5. More clear Bean Dependencies Graph view. For instance, it obtains beans and dependencies from custom namespaces. 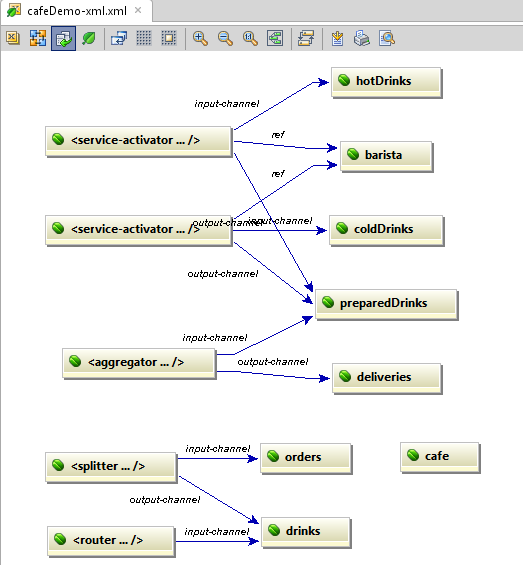 Check out this spring integration schemas example. Download IntelliJ IDEA 10.5 RC to try it and enjoy the improved Spring framework support. This entry was posted in New Features and tagged Code Analysis, Code Navigation, Spring, Xena. Bookmark the permalink.